Two second-half goals from Billy Forbes helps Scorpions earn big away win. 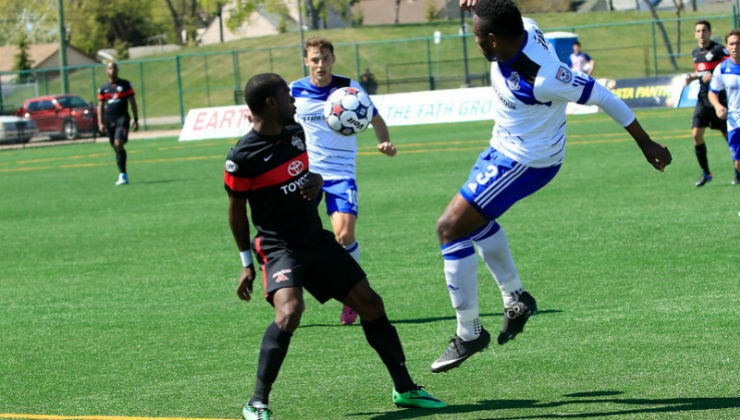 FC Edmonton found themselves at the end of a 3-2 loss to San Antonio Scorpions at Clarke Field on Sunday afternoon in North American Soccer League (NASL) action. Daryl Fordyce scored both goals for the Eddies and Billy Forbes scored back-to-back goals for the Scorpion’s in the second half to give his team the edge. With a big Amway Canadian Championship match this Wednesday against Vancouver Whitecaps FC, Eddies head coach Colin Miller made some changes to the lineup. 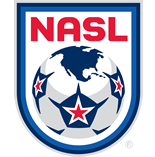 Deciding to rest Ritchie Jones, Tomi Ameobi and have Kareem Moses, Lance Laing and Sainey Nyassi on the bench, Tomas Granitto, Sadi Jalali, Chad Burt, Michael Nonni and Johann Smith all received their first starts in the 2015 NASL season. In the 21st minute, San Antonio went ahead 1-0 with a goal from the NASL leading goal-scorer Omar Cummings. The Scorpions’ striker curled in a beautiful shot out of the reach of Eddies ‘keeper Matt VanOekel after the ball had bounced the Eddies backline. The Scorpions went into the half with the 1-0 lead. Edmonton started the second half off strong when in the 53rd minute, Fordyce levelled the match at 1-1. Nonni crossed the ball inside for Smith who then headed the ball towards Fordyce, who found the back of the net. The Eddies’ momentum did not last long as the Scorpions went back up in the 62nd minute. San Antonio’s Forbes ran through the entire Eddies backline and shot the ball past VanOekel for the 2-1 lead. Moments after entering the match, Edmonton native Hanson Boakai took a hard shot on target and Fordyce was able to put the rebound away to tie the game at 2-2 in the 74th minute. In the 82nd minute, San Antonio got the lead again. Forbes had a one-on-one with VanOekel but the Eddies ‘keeper was unable to stop the striker’s shot and the Scorpions grabbed the 3-2 lead. The Eddies’ effort’s to level the match again fell just short and the Scorpions held onto the 3-2 score line to win the match. “We’re moving on to Wednesday’s match and try to make it right,” Fordyce said after the match.